There is a good deal of confusion over what this passage actually means. Some have said that we are like empty vessels that need to be filled with more and more of the Holy Spirit. Others make a case that it is more the idea of letting the Spirit of God take control of our lives. Still others say that being filled with the Spirit is similar to being filled with joy or peace or anger. It is a way of saying that you are characterized in a certain way, in this case by life in the Spirit. In this post, I want to start by stating what I think we can quickly conclude “being filled with the Spirit” is not. 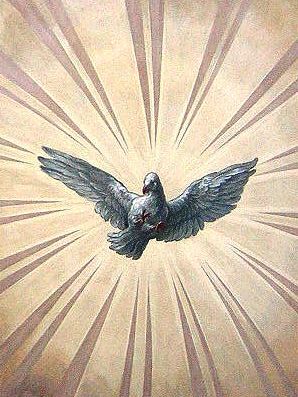 It is not getting more of the Holy Spirit. Why do I believe this? Because the Holy Spirit is a person, not an object. You either have him or you do not. You cannot divide him up into pieces (e.g. first you get his arm, then his leg, now his foot, etc.). Paul also tells us in Romans 8:9 that anyone who does not have the Spirit does not belong to Christ. To be saved (i.e. born again) is to have the indwelling presence of the Holy Spirit, who is a person, not an object. You either have him or you do not. This entry was posted in Bible Study, Holy Spirit and tagged Ephesians 5:18, Epistle to the Ephesians, Epistle to the Romans, Filled with the Spirit, Holy Ghost, Holy Spirit, Paul, Tim Farley. Bookmark the permalink.